As a solution focused strategist Jim Letts has produced significant impact in the non-profit arena for over 35 years. His experience ranges from CEO of the Saratoga Regional YMCA with over 550 employees to running a small Automobile Museum with seven employees. His visionary and leadership skills have transformed each of the organizations he has led to financial and mission prosperity that continues to this day. During his career as CEO with YMCA’s in Connecticut, Massachusetts, and New York, Jim worked with politicians and lobbying firms to secure grants as excesses of $3.5 million for program and facility development. These collaborative partnerships and state-wide initiatives in child care, membership, camping, and policy development, ensured the future of the mission of these YMCA’s. Jim is an accomplished fundraiser having generated over $25 million for organizations during his versatile career. In partnership with boards and staff he initiated four highly successful annual campaigns and five capital campaigns. His ability to analyze the needs of organizations led to the Saratoga Automobile Museum to embark upon their first ever Saratoga Auto Auction, which put the museum in the black for the first time in 15 years. The auction continues today and is the financial catalyst for the museum’s success. With his extensive experience in facility management, Jim has renovated numerous YMCA’s and built three new buildings where he supervised each project. He has worked with architects, engineers and companies for the Design-Build process which resulted in tremendous economic savings for the non-profits he served. All projects were on time and on budget. During his career, Jim has managed Single Resident Occupancy (SRO) housing with 315 residents. He also ran housing for homeless families which included job training, family counseling, and found permanent housing for each family in the program. Jim is widely considered a turn-around expert in the field. He assumed the leadership of three non-profits with historical deficits of 10+ continuous years. The first full year under his management, all three organizations operated in the black and continue to run in the black today, even 15 years after Jim’s departure. His ability to implement a transformational strategic roadmap was the key to each of these successes. 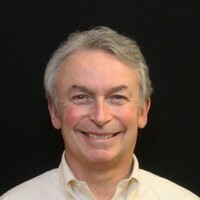 He has served on many boards including: Chairman, Saratoga Greenbelt Trail, President, Toastmasters, Chairman, Development Committee Presbyterian Church, Saratoga City Comprehensive Plan, NY State Tax Challenge Committee, Mentor for Skidmore College Students, Chamber of Commerce, Rotary, and has volunteered for numerous other organizations. Jim enjoys many sports and is an accomplished athlete, having won numerous road races.